On the first day of Minnesota Vikings’ OTAs , Teddy Bridgewater was apparently able to take part. 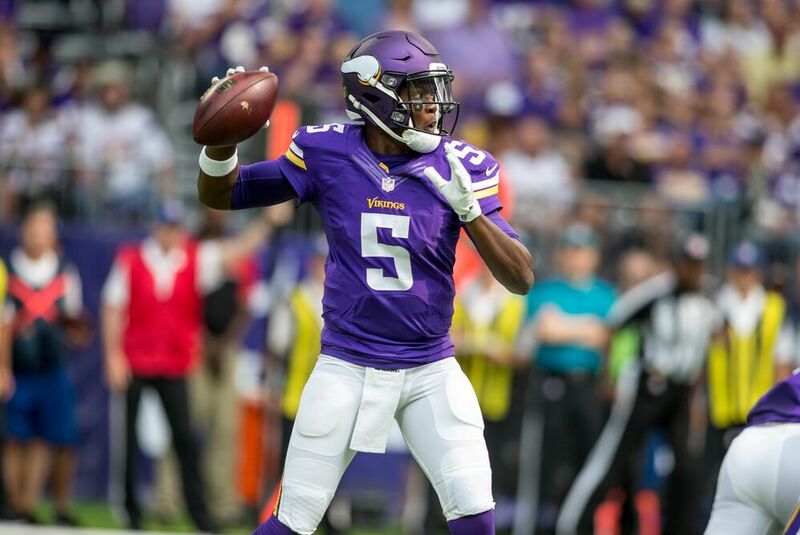 All offseason it has been a foregone conclusion Minnesota Vikings quarterback Teddy Bridgewater would miss a lot of time this season, if not the entire season.. A beyond garden variety ACL tear in his left knee late last preseason has also put his football future in doubt, and anyone attached to the team has offered sentiment to that end when asked about Bridgewater’s status. Bridgewater may never quite be the same as he was, even if he’s able to play again. The Vikings declined his fifth-year contract option for 2018 back on May 1, which was not too surprising considering his uncertain future. The Vikings started their OTAs on Tuesday, with Sam Bradford firmly in place as their starting quarterback. Only a significant injury of his own will keep Bradford from starting Week 1 for the Vikings, barring something completely unforeseen. To that end, the Vikings posted a video that appears to be from Tuesday’s practice. This is clearly a hype video from the Vikings’ Twitter account, which presumably can also be seen on their website, complete with music to back up the vibe. Bridgewater is seen dropping back and throwing in slow-motion, even mimicking a play action fake once, with the expected huge brace on his left leg. It’s good to see Bridgewater working on the field in some capacity, and the video does its job to inspire optimism for Vikings’ fans. But that optimism needs to be kept reasonable until further notice. It’s a long way from taking part in helmet-less, pad-less practices in May and being cleared for contact come training camp. Spending some time on the reserve/PUP list still looks certain for Bridgewater, but if he makes sufficient progress he could find himself on the active roster before the 2017 season ends.